Murad Oil Control Mask Review: Does It Really Work As Promised? Murad InstaMatte Oil-Control Mask is marketed as a three-minute mask that delves deep into the pores to cleanse and absorb excess oil to provide a long-lasting matte finish to the skin. Clogged pores often lead to breakouts and excess oil, which typically kicks into overdrive during the warm summer months. 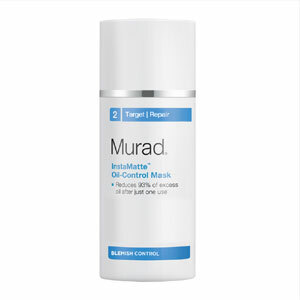 Murad InstaMatte Oil-Control Mask works well for those with oily and combination skin to address the look of enlarged pores, acne, and prevents excess oiliness and blemishes from occurring. This three-minute mask addresses oil by clearing out congested pores and keeping skin clear thanks to its Oil-Control Complex. This product works great under makeup and prevents foundation from slipping. For best results, apply an even, thin layer of Murad InstaMatte Oil-Control Mask onto cleansed skin. Leave this mask on for up to 3 minutes before rinsing with warm water. Pat the skin dry and follow up with your preferred moisturizer. For best results, use this product once per week and consider using an oil-control cleanser. 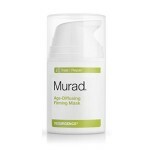 Murad InstaMatte Oil-Control Maskretails for $38.00 per 3.4 oz. of product on several very well known skin and beauty retailer websites. Oil-control Complex: This oil-controlling ingredient absorbs excess oil and provides you with a matte finish all day long. Grapefruit Extract: This ingredient addresses the look of enlarged pores and gives the skin a revitalized look. Salicylic Acid: This well-known ingredient addresses the look of blemishes and prevents new breakouts from forming. 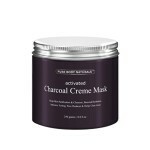 This matte mask is a solution for excess oiliness, enlarged pores, and breakouts. This product is dermatologist-tested, and free of soy and gluten. 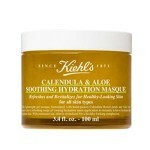 This mask leaves your skin feeling soft and smooth after rinsing it away. Customers claim this product made their skin worse and caused breakouts. 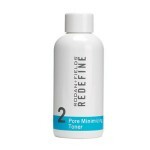 This product does not contain enough oil-absorbing ingredients to have a long-term effect on the skin. 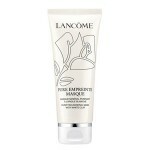 This mask contains highly fragrant ingredients, which may cause irritation. Murad InstaMatte Oil-Control Mask is a 3-minute mask, which is intended to address the look of excess oil and prevent breakouts, however this product simply cannot deliver on all of its promises. Although this product claims it has the long-term ability to absorb oil, there is quite a lack of actual oil-absorbing ingredients. This product also includes fragrant ingredients, which last long after you rinse this product away. These ingredients may cause irritation and can even cause oil production to worsen. We’d recommend continuing your search for a product that contains plenty of oil-absorbing ingredients, without the unnecessary fragrant irritants.